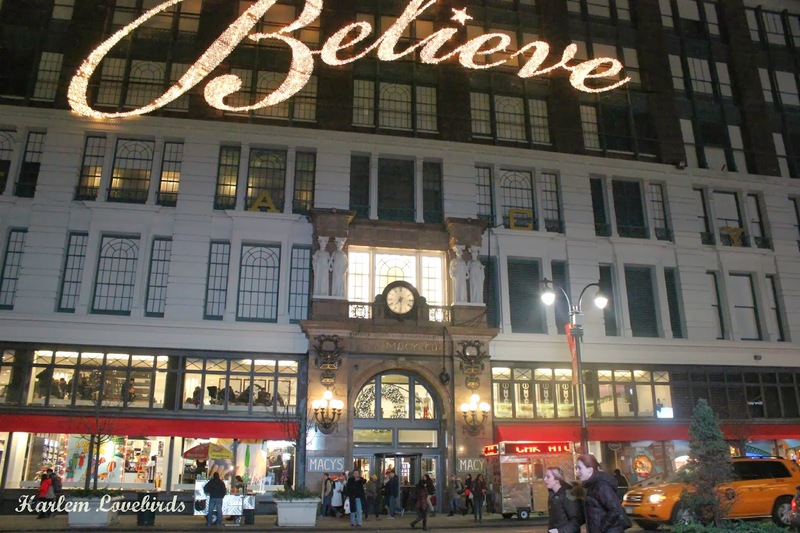 Harlem Lovebirds: Macy's Santaland: Third Time's a FAIL! 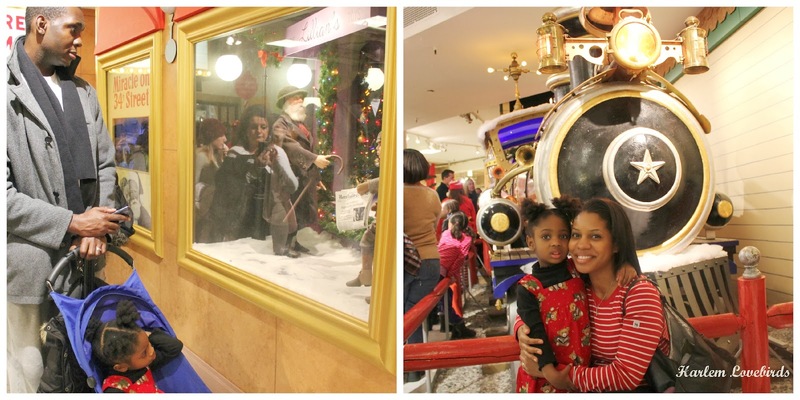 Macy's Santaland: Third Time's a FAIL! 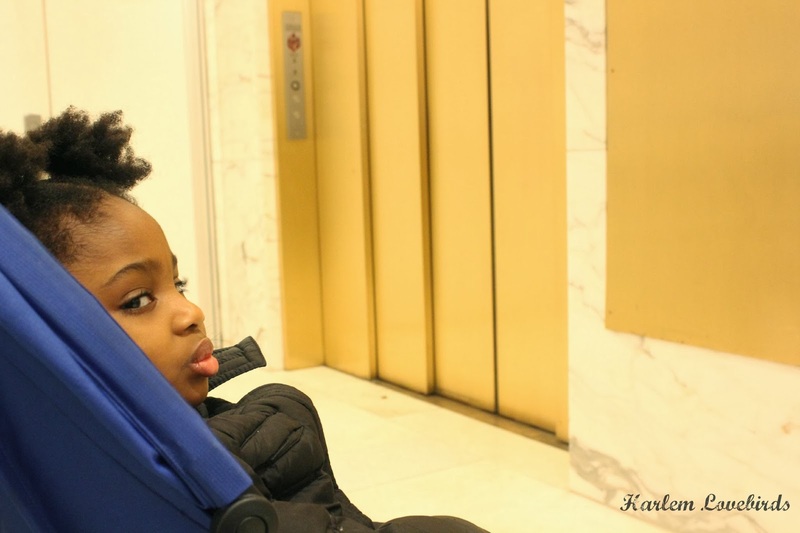 So did you catch Lil Lovebird's wariness in today's Wordless Wednesday? She totally gave the camera a sideye, and it was actually spillover from our visit to Macy's Santaland the night before . . .
She woke up with a fever that morning and Mr. Lovebird had taken the day off to prep for our cookie exchange party the following day, however we decided to keep her home from school and take it easy. 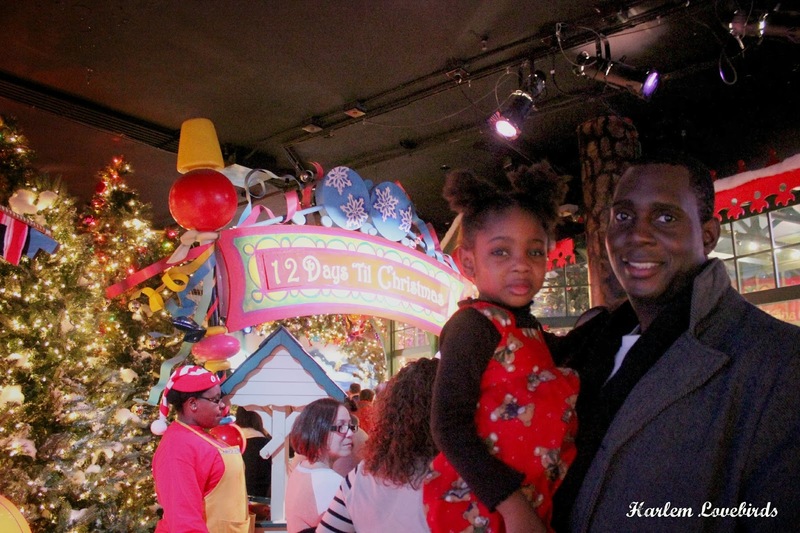 Our original plan was to visit Santaland after school (can you believe Mr. Lovebird, a NATIVE NEW YORKER, had never been??? ), but Nia just slept and slept and slept. 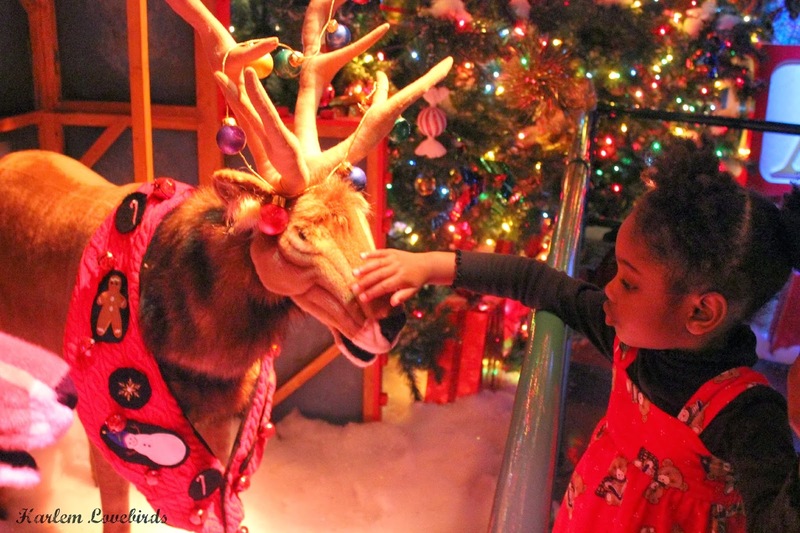 When she woke up she was fever-free and a little groggy, but she was adamant about still wanting to go to Santaland so we packed her up and went. The line actually wasn't too bad. 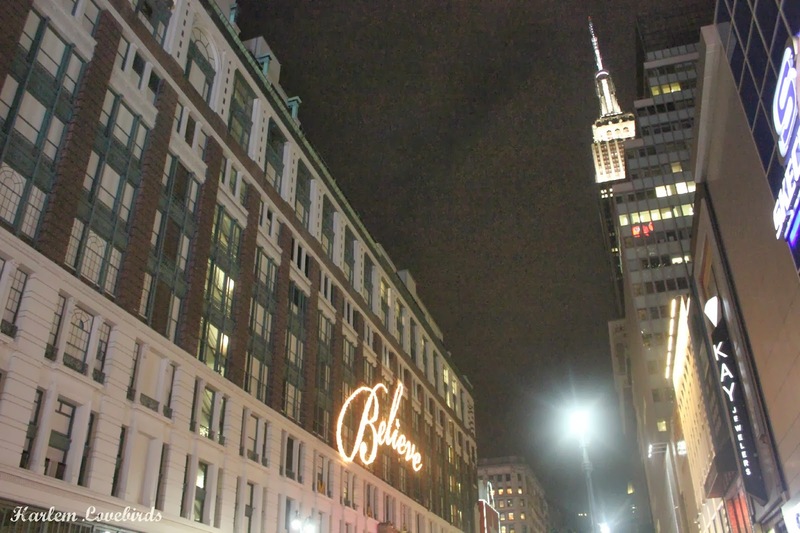 Our first year visiting was a weekday, daytime and we breezed through and last year the line was the worst ever snaking through back parts of Macy's I never knew existed, but this year we didn't even have to do that and got through the line in just under an hour. 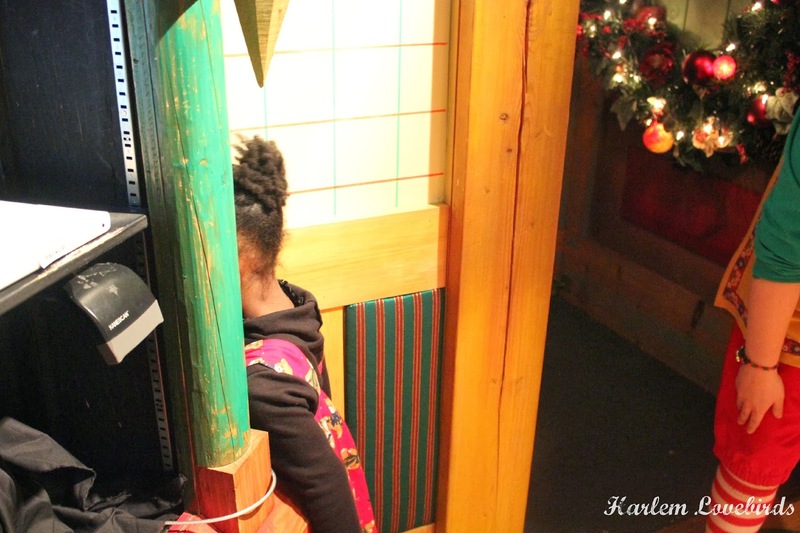 What set Nia off first was once we got into the actual Santaland exhibit and she remembered the giant tree. She kept telling us she didn't want to see it but was still looking for it! The elf assured her he was turned off and wouldn't move his eyes or talk to her. She wasn't convinced and started crying as we whisked her past it. From there she was very cautious and kept peeking to see if she could see the tree from every angle. She wasn't too thrilled about photo ops either. After we breezed right out and walked over to the McDonald's in Macy's where she excitedly ate her Happy Meal and apparently forgot about Santa. Well, that is until the next day when he was not only at IHOP for breakfast (she wouldn't say Merry Christmas back to him! ), but at the Twas the Night Before Christmas Party that afternoon. Sigh. 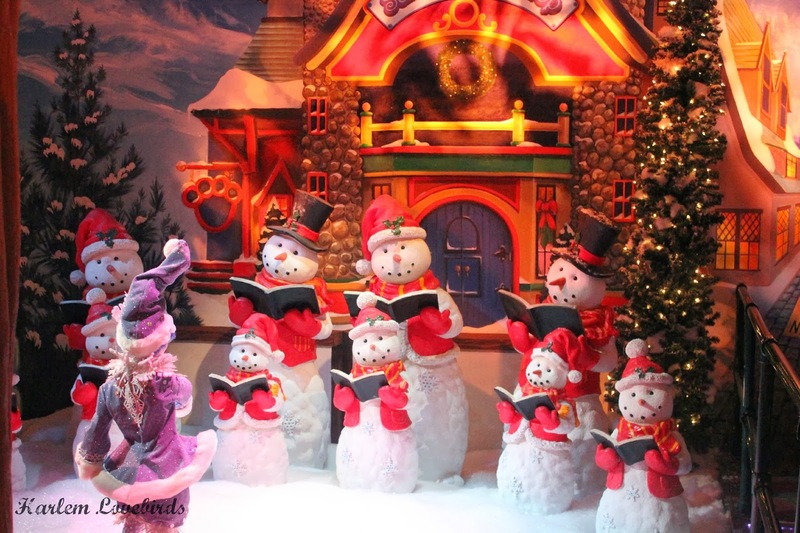 Who woulda thought that after 2 years visiting Santa at Santaland the 3rd year she'd freak out? I wonder what will happen next year??? 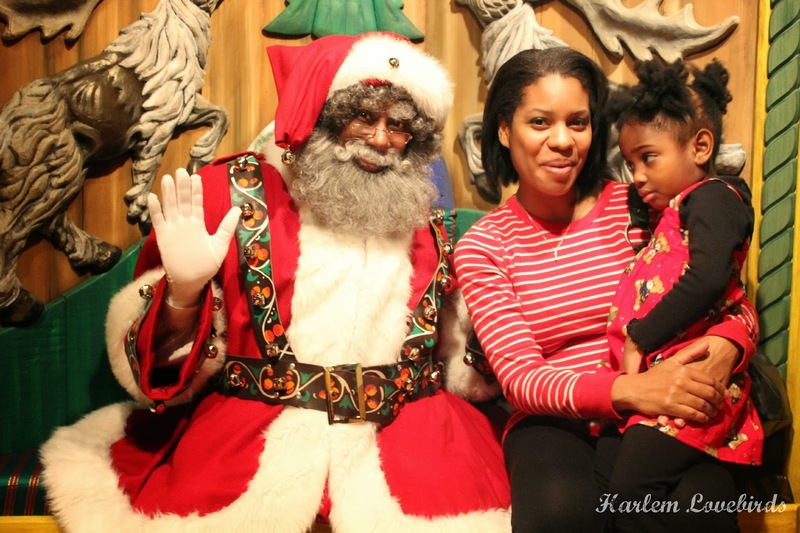 Was your child comfortable with Santa when they were younger but freaked out as they got older? Please share! P.S. 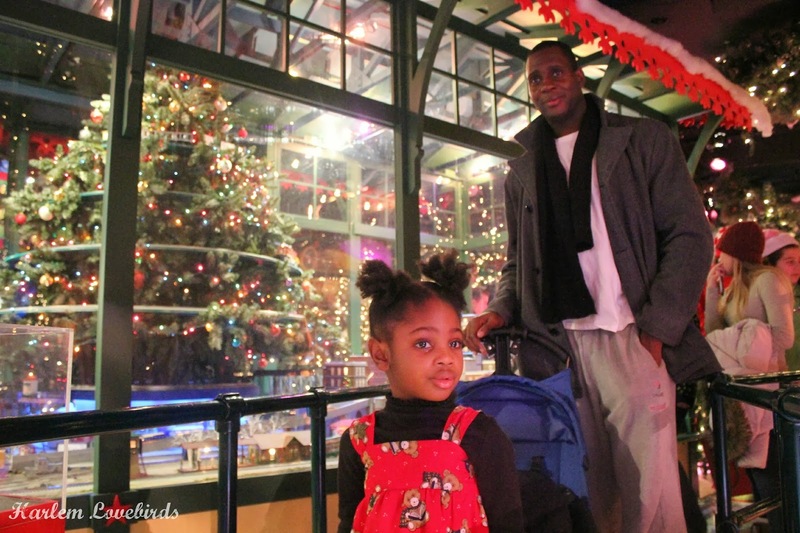 Here's Nia's very first visit with Santa, pre-Santaland, in 2010!